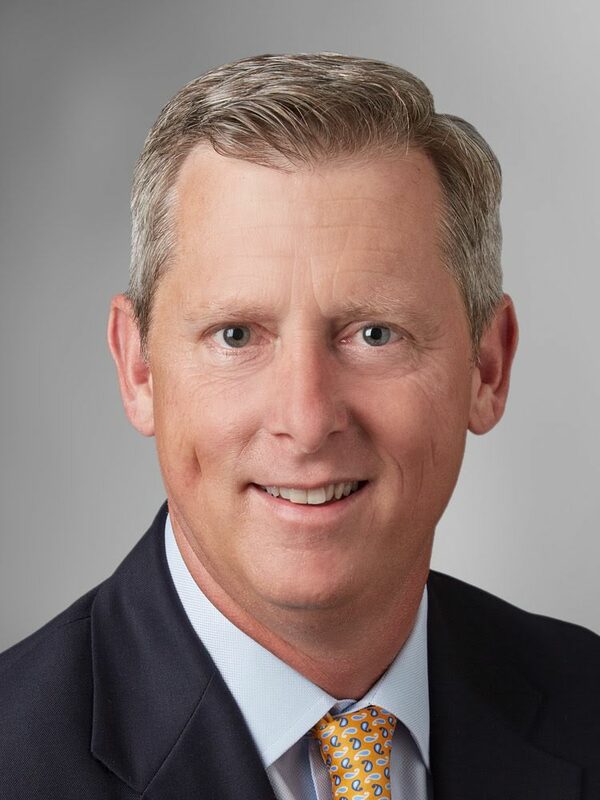 Rusty Wiley came to Merrill 5 years ago from IBM, where he held several leadership roles at IBM across sales, consulting and general management, including leading global banking and financial markets. He now has helped to transform Merrill from print services to a virtual data room platform. He attended East Carolina University for his undergrad, then Duke University for his MBA. I’ve been in the technology industry a long time and am passionate about it. Before joining Merrill in 2014, I held several leadership roles at IBM across sales, consulting and general management, including leading global banking and financial markets for the tech giant. At Merrill, I’ve had the opportunity to pursue my passion for technology and financial services, transforming the company into the leading global software as a solution (SaaS) provider that it is today. Our flagship platform, DatasiteOne, empowers M&A professionals by enabling secure, intelligent due diligence and enterprise collaboration for about 8,000 deals annually in more than 170 countries. Perhaps the funniest story was at the very beginning, when I decided to leave IBM and accept the leadership role at Merrill. Explaining to my mom what IBM did was always very easy. This proved to be a little trickier with Merrill Corporation. Five years ago, Merrill was a collection of very diverse businesses, from financial printing, to marketing and communications for regulated industries, to content and collaboration software. When I tried to explain it all, she just looked at me with a blank stare. Finally, she asked me to send her an email with a description so she could easily forward to her friends! This was really the beginning of our five-year transformation to becoming the premier global technology provider for M&A professionals that we are today. When I joined Merrill five years ago, the company was a collection of communication and print related businesses and Datasite, our premier SaaS platform for intelligent due diligence and enterprise collaboration. Each of the businesses had unique competitive challenges and many were in secular decline. We knew it wasn’t possible to make the leadership investments required for a dozen different businesses. We also knew many were at risk for regulatory or technical disruption. We had to make some very difficult decisions and start a journey to simplify the business, as well as amplify investments in our core Datasite platform. Over the next four years, we executed many divestitures and completely transformed the company. Over those four years, the most difficult leadership challenges were ensuring the divisions we sold went to buyers that would invest and support our employees, and addressing the inevitable cultural challenges that go with complex transformations and divestitures. Over this period, we were successful in placing our divisions in great companies and establishing a culture of growth, innovation and client service. I am thrilled to say that I am very excited about our future. We are a much less complex business now and are well-positioned to help our customers in the M&A space, starting with due diligence and moving across the entire M&A lifecycle. I genuinely believe great leadership begins with bringing clarity to the reason the company exists and the role each member of the team plays in supporting that vision, essentially understanding why we do what we do. With our Datasite platform, we had great sales relationships and an incredible foundation based on customer service. I would even go so far as describing it as heroic. Our team was relentless at solving our clients’ challenges 24×7. To really accelerate our success, we needed to expand on the core value of service to support our vision of becoming the leading SaaS technology company serving the M&A community. When we reshaped our leadership principles and values, we expanded them to focus on impactful innovation and growth, and aligned our incentives to innovation, growth and client service. We also have a relentless focus on talent. We operate in a highly competitive space and must be able to distinguish ourselves in recruiting and enablement. To support this, we assembled a team of talented, engaged market leaders, who are capable of attracting and retaining the best talent while optimizing business performance. Lastly, leadership means being agile and highly engaged with customers. We have exceptionally talented customers across banking, private equity, legal, accounting and industry. Moving to an agile, customer centric business model which drives our product development and service from a business model that was based on internal bias, has been game changing. The best example of this client-inspired product design was the launch of our new DatasiteOne M&A platform. Within 90 days of our product launch, 90% of all new transactions were on the new platform, an incredible testament to the power of client involvement. This one is difficult because there have been so many leaders and colleagues who have shaped my journey. However, I think a great one to share is an early career lesson I received from an exceptional leader at IBM, Carol Pontis. To set the context, I had worked tirelessly and produced solid results for my first review as an executive leader so I had high expectations. I was caught completely off guard, when the first words from Carol at the review were, ‘what happened to the person I promoted?’ Of course, she was joking, but she used this exchange to make the point to take strategy and execution seriously, but never lose your sense of humor. Humor is great for diffusing tough situations and creating an energized work environment. Carol also let me know not to take myself too seriously. She said this as we looked down at my two identical shoes — except one was black and one was brown (early start to the day). We had a good laugh! You often hear a professional career described as a marathon but for passionate leaders, I think it’s actually a life of sprints. Every important role has stretches of very long days, weeks and months — starting a new leadership role, launching a new product, transforming a company — these are all a series of sprints (and some are really long). My approach has been to run the sprints to support the team but not turn my career into a nonstop marathon. When the opportunities emerge between the sprints, I dedicate my time to the things I treasure — my family, community service and activities that we enjoy together. I have been very fortunate to have a rich set of career experiences over the past 30 years. I’ve traveled millions of miles, managed talent in all regions, interacted with clients in 30 countries, lived in Asia and led interesting global businesses. Over that same stretch, my wife and I watched three energetic kids grow into amazing your adults of which we are incredibly proud. Throughout their lives, I planned my schedule to be there every chance possible — sometimes flying overnight to be at a basketball or volleyball game. It’s a trap we create that prevents us from spending time with those that matter most and having balance. I’ve always focused on the quality of what is produced versus the number of hours applied. With mobile technology, it’s harder to distinguish your work life and home life. Today, when you get home, the phone you are using is likely the same one you use for work. The separation of work and life is more blurred but it’s still possible to achieve balance. It’s true that as you progress in your career, your level of responsibility and the sprints required of you become longer, more intense and often have higher stakes outcomes. At the same time, it’s important to separate from work, pursue diverse interests outside of the office, and recharge. These are critical to creative thinking, innovation and personal satisfaction. As such, I’ve always made experiences outside of work with family and friends a priority. As a leader, I always push colleagues and rising stars to develop the same discipline, particularly for experiences that expose them to new cultures and geographies. Plan your balance — Just as you manage your professional schedule, do the same for important personal time, not just vacations. Center your attention — Be present in your personal time and minimize distractions that can drain the rewards you get when spending time with significant others and activities. Disconnect annually — It varies based on your role (and yes, sometimes it’s difficult), but try to plan one week or more per year to fully disconnect from your professional life. Trust me, you will be rewarded with energy, inspiration and creative restoration. Be genuine on balance — As a leader, it’s tempting to encourage your team and colleagues to have personal balance while not doing the same. The result is your team will consider taking time off a career limiter. Make unexpected small gestures — Seize opportunities to surprise those most important to you. Make a call, handwrite a note, show up unexpectedly at a game — it matters! Transforming a 50-year-old financial printing company into the leading M&A SaaS technology company we are today has certainly been an incredible journey and accomplishment for our team. I am proud of the leap we took to disrupt ourselves to ensure a bright future for our company and most importantly our team. Equally, I’m proud of the client focused, nimble culture we have nourished at Merrill. We are a global team of high-energy, passionate people, who have strong individual voices but work as a team, bringing out the best in each other. Across the world, entrepreneurial spirit and education help create economic prosperity. At Merrill we are keen to do our part to help connect, educate, and inspire individuals in our industry. We participate in numerous thought leadership forums, from global industry events to local initiatives, many focused on engaging diverse cultures and viewpoints in a dialogue on critical challenges facing businesses. For example, our product team is partnering with NYIT Ventures, an Entrepreneurship & Emerging Technologies Organization at the New York Institute of Technology in Manhattan, which provides members with the resources, connections, skills, and knowledge needed to master concepts across entrepreneurship and emerging technologies. We are also eager to expand diversity of leadership, a great example being our sponsorship of Exponent Women, an organization that provides women dealmakers with access to meaningful interactions and educational content.